Fortify on Demand analysis shows broad vulnerability in apps. The majority of web or mobile applications we analyzed had at least one critical or high severity issue. Furthermore, 1 out of 2 apps had critical or high vulnerabilities not covered by the OWASP Top 10 2017. The biggest and most severe data breaches that have affected both the public and private sectors all operate at the application layer. 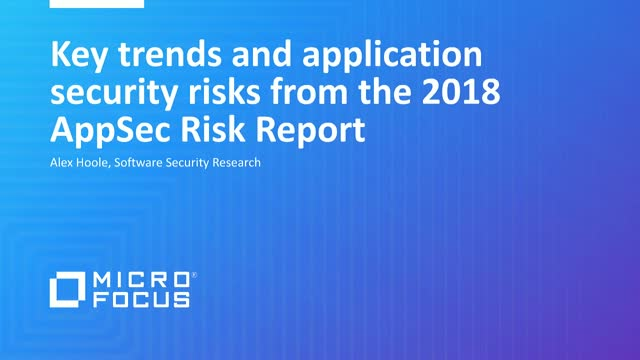 That’s why it is important that organizations take a holistic view and include application security and vulnerability assessment as part of their software development program. Your NetOps KPIs are probably pretty straightforward — cut IT costs, mitigate risk, and improve productivity. What’s not so straightforward is how to meet them. We’re here to help. • What NetOps 2.0 is all about. • The 5 steps to successfully delivering NetOps 2.0. • How to change by policy and not by chance. Sign up now. Just fill out the form opposite!